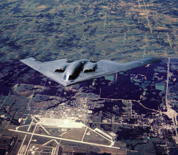 Whiteman AFB is located in Knob Noster, Missouri, approximately 70 miles from Kansas City. The host unit is the 509th Bomb Wing which operates the only permanent fleet of B-2 Spirit Stealth Bombers in the world. Their mission is to respond to global threats using the B-2 and carrying payloads of conventional or nuclear weapons. Tenant units on base include the 131st Bomb Wing of the Missouri Air National Guard, the Navy Reserve's Maritime Expeditionary Security Division 11 and the Missouri Army National Guard 1st Battalion 135th Attack Reconnaissance Brigade. This Whiteman AFB directory features the critical info you’ll need to navigate through the many facilities and recreational opportunities available on base.